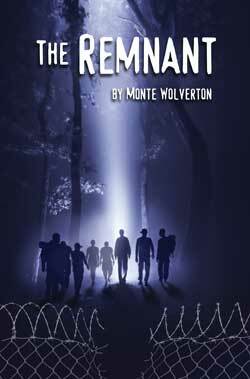 The Remnant is both inspiring and satirical—it’s a physical and spiritual expedition through a dystopian world. Avoiding been-there, done-that predictable conclusions, it offers hope against the backdrop of a real, perplexing and challenging world of spiritual and physical dysfunction. In the year 2069 the Apocalypse came and went, but Jesus didn’t show up. Instead, a cataclysmic war left a totalitarian government ruling the world, and it had banned all forms of religion. Those who insist on practicing religion are imprisoned in work camps around the world. An inmate in a North Dakota work camp, Grant Cochrin, hears rumors of isolated Christian communities in the lawless Wilderness. He escapes with his family and friends on a quest for a utopian Christian community. They are guided by a single Bible page—a remnant of Jesus’ Sermon on the Mount handed down from Grant’s grandparents. On their long, dangerous and sometimes violent journey, the Cochrins and their friends encounter a series of bizarre religious communities, but none of them seem right. Finally, just as they are ready to abort their quest and plant their own community, they are ambushed by a gang of human traffickers. At the last minute, World Federation security forces inexplicably intervene. Expecting imprisonment, Cochrin and his team are stunned to be whisked off to the world capital of Carthage, Tunisia, where they are received by World President Mehdi Kazdaghli. 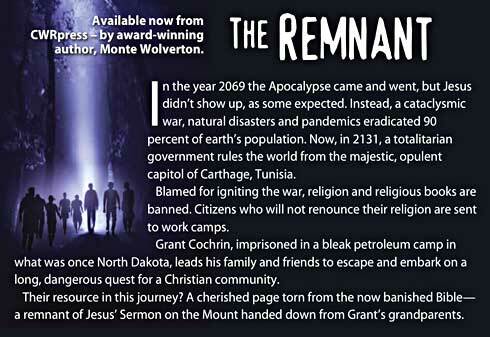 In a totalitarian, post-apocalyptic future where religion is forbidden and religious texts have been destroyed, a band of concentration camp escapees treks through a lawless wilderness on a quest for authentic Christianity, only to come face-to-face with an unthinkable dilemma. © Copyright Plain Truth Ministries. Developed by EMRG.